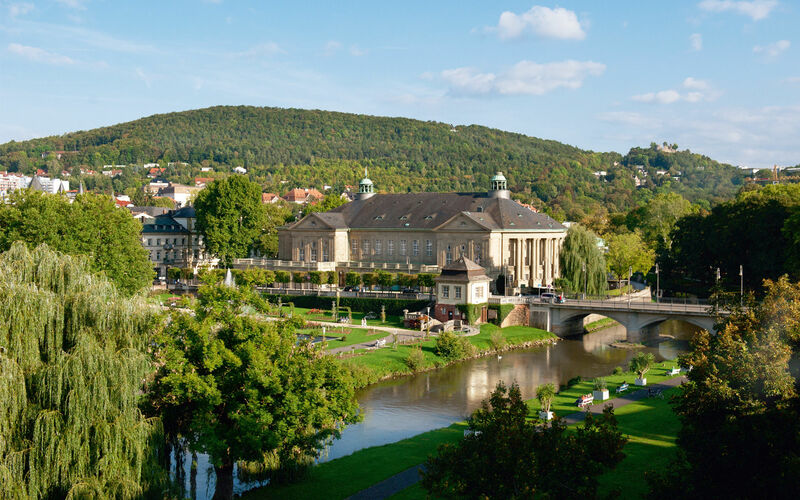 Built between 1911 and 1913 in the new baroque style, it has remained the landmark and cultural heart of Bad Kissingen to this very day. King Ludwig III personally opened the ‘Regentenbau’ after a period of construction of only 21 months. His father, Prince Regent Luitpold, had commissioned the architect Max Littmann to build the new ‘Kurhaus’ (spa building) on account of a massive increase in the number of guests, but did not live to see its completion. Top-class concerts and events take place in its sumptuous rooms throughout the year. There are guided tours through the Regentenbau. Did you know: The vaulted ceiling fresco in the foyer by the famous Munich painter Julius Mössel is well worth seeing. It shows the singer Orpheus against an African background.